FLAVOR: A delightful blend of robust berries and velvety chocolate. FUNCTION: Rich in antioxidants (specifically anthocyanins like those found in red wine) and healthy fats similar to olive oil. 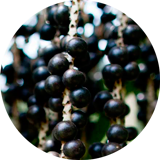 FORTUNE: A staple for Amazon people, this abundant berry is known as the greatest of all fruits of the Amazon. FLAVOR: A delightful nutty taste rich in texture with a soft crunch. FUNCTION:Loaded with essential omegas and protein, highest in omega 3, calcium, magnesium, zinc, vitamin-E.
FORTUNE: Recently esteemed as one of the healthiest vegan sources of protein and EFA’s. 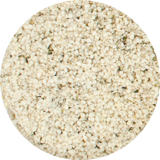 The potent nutrition in hemp foods showcase yet another extremely useful purpose for this vibrant plant. FLAVOR: Creamy and milky nut like flavor with hints of Amaretto essence. FUNCTION:Aids on heart health and lowering cholesterol, rebuilds body’s muscle, bone and skin tissue, assists in weight management. FORTUNE: This Pioneer of the healthy nut revolution is still one of the most beneficial foods available. 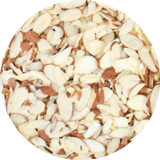 In Mediterranean cultures, Roman soldiers clung tightly to their ration of almonds to help them stay fueled in battle. FLAVOR: Mildly malty and nutty with a hint of butterscotch and subtle earthy flavor. FUNCTION: Promotes memory retention, build immunity, and aids the body in healing and recovery from injury. 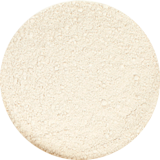 FORTUNE: Maca is widely regarded as one of the most potent superfoods on the planet. Large doses have been known to increase libido and fertility. FLAVOR: A nutty yet tropical combination. FUNCTION:Antibacterial and anti-microbial, plus healthy fats. Balances cholestorol, aids in digestion, assists in weight management, reduces stress. 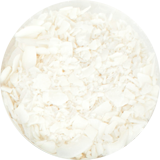 FORTUNE: The oils from coconuts are used to cure just about any type of skin irritation and keep our digestive system supple and healthy. FLAVOR: Sweet berry taste with a burst of juiciness. FUNCTION:Potent free radical fighting antioxidants, cholesterol reducer, weight management, anti-inflammatory, pain reducer. 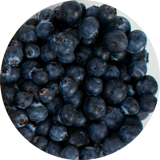 FORTUNE: Not only does eating Blueberries fight aging, they can actually make you smile in the process by naturally increasing dopamine levels in the brain…making you feel oh soo good. 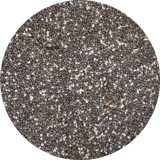 FLAVOR: Mildly resembles a poppy seed, prolonged exposure to moisture will cause the seed to gel and sweeten much like a pearl of tapioca. FUNCTION:Omega 3 essential oils improve brain performance, soluble fiber, weight management, loads of protein. FORTUNE: Aztec folklore speak of chia seeds as the ultimate running food. Just one handful would provide the energy for messengers to run all day. FLAVOR: Lightly crunchy, mildly sweet, with a slightly bitter finish. FUNCTION:Increases stamina, endurance, and vitality. Improves metabolism, stabilizes hormone levels, provides a boost for strength and immunity. FORTUNE: Natures wonder-food, contains all the essential nutrients needed for survival. 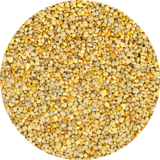 Bee pollen is the richest source of vitamins found in nature from a single food. 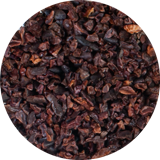 FLAVOR: Cacao is the purest from of raw chocolate and has a creamy earthy tasty and a crunchy texture. FUNCTION: Cacao is a vaso dialtor bringing fresh oxygen to the blood, it improves endurance, brain function, and overall mood. FORTUNE: The food of kings. High quality cacao has been known to have more electrolytes than coconut water and is the secret training food for endurance sports athletes. FLAVOR: Chewy, sweet and tarty. FUNCTION: These powerful antioxidants trigger HGH production in the body. Plus they contain high amounts of vitamin-C, Beta Carotene, and Iron. 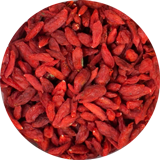 FORTUNE: A Himalayan treasure grown throughout the high mountains, goji berries are a staple in Asian herbal medicine.